General Motors plans to invest 10 billion reais ($2.65 billion) in two of its Brazilian plants to build “several new products” over the next five years, the company said Tuesday. The investment is expected to occur on a rolling basis for the unidentified vehicles, which will launch from 2020 through 2024 and be sold in South America. The significant investment will help GM “build a sustainable business in Brazil leveraging the Chevrolet brand,” according to an emailed statement from GM spokesman Dan Flores. He declined to elaborate on how many products the investment will support. The announcement follows company executives earlier this year confirming that the company was evaluating options with government officials, unions and suppliers to make the automaker more cost-effective in the region. The support of such “key stakeholders,” according to Flores, was “fundamental to make the business viable from a cost perspective, to protect jobs and to allow proper return” to GM shareholders. GM, he said, will continue to evaluate further actions to address headwinds in the region such as material, labor and logistics costs, infrastructure, taxes and high cost of capital. “We need to face these issues to build a competitive manufacturing basis in Brazil and the region, to be able to have a sustainable business,” Flores said. The investment will mean 15,000 jobs will remain at the São Caetano do Sul and São José dos Campos plants, according to Reuters. It’s unclear if additional jobs will be added in the future. Two months ago, the wire service reported GM's Brazil unit was in advanced talks with Sao Paulo state to receive tax incentives. It’s unclear what type, if any, incentives were awarded to the automaker. GM, for several years, has been restructuring its operations in South America, where the automaker leads in market share. In February, GM CFO Dhivya Suryadevara said the company had reduced its break-even point by 40 percent since 2012. She noted foreign exchange rate -- particularly for Brazilian and Argentinian currencies -- as a continuing headwind. “What we’ve been doing is structuring the business such that even in more extreme levels of currency, we’re still able to break even and turn a profit,” she said. GM, according to Suryadevara, would share additional details of the company’s efforts in South America in the coming financial quarters. 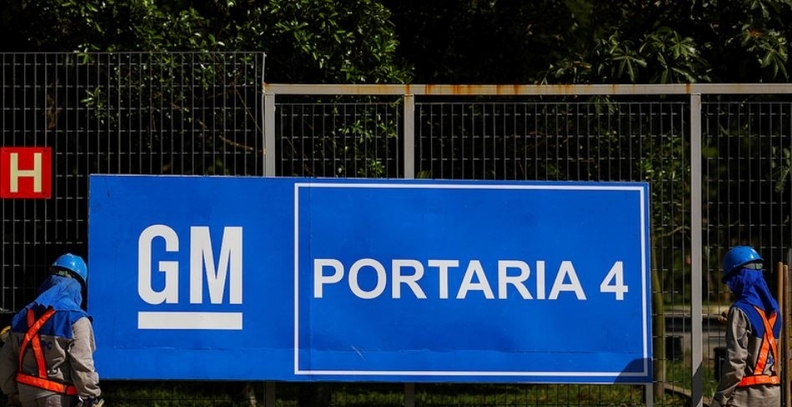 GM operates 12 facilities in South America that employ 19,500 people. Ford last month said it would make deep cuts to its floundering South American operations by closing its largest plant in the region and exiting the commercial heavy-duty truck business there. In recent months, Ford has reduced salaried and administrative costs in South America by more than 20 percent. It also is sharing product development costs with Volkswagen Group to build medium-duty pickups in South America and other regions.